The 2nd South Manchester Triathlon took place on Sunday 22nd September in spring-like weather conditions and saw a total of 516 triathletes cross the finish line. A pool based sprint distance triathlon aimed at both novices and experienced triathletes, the South Manchester Triathlon was also the last event of the Xtra Mile Events Tri Sprint Series, concluding the 2013 series. Based at the Wilmslow Leisure Centre, the 400m swim took place in the indoor pool whilst the bike leg covered a distance of 24.2 km around the leafy town of Wilmslow and the scenic Cheshire plains. The race finished with a mostly flat 6.2 km run along Wilmslow’s quiet, leafy roads taking in views of the River Bollin. Alex Foster (Astley & Tyldesley Road Runners) was the fastest in the water and managed to hold on to his lead throughout the race, claiming the winning title in a time of 1:09:57. James Bailey (Sale Harriers) bettered his third place from last year and came second in 1:10:14, beating Mark Clair into third place. Louisa Hodge, in her first ever triathlon, took the women’s title after crossing the finish line in 1:25:52, ahead of Lucy Scott (Knutsford Triathlon Club) who finished in 1:28:26. Abi Cockedge, also of Knutsford Triathlon Club, secured third place in a time of 1:29:09 with a finish line sprint. The full results are available on www.xtramileevents.com/results . 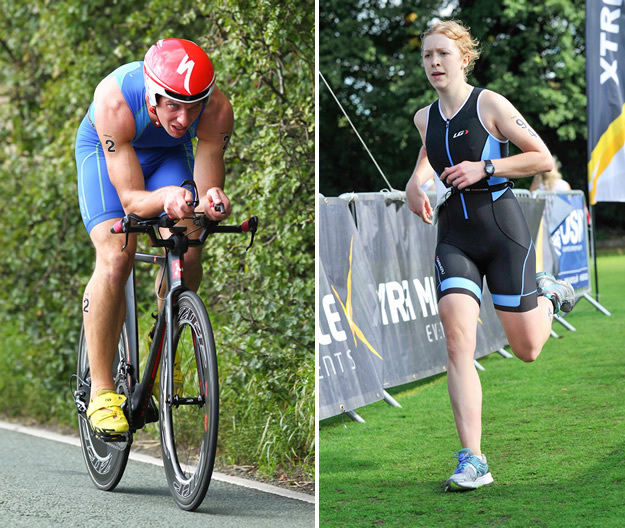 Race Director Simon Hill commented: “The 2nd South Manchester Triathlon was a sell-out race, with all 600 places snapped up by triathletes of all ages and all levels keen on finishing their season on a high. This event has got huge potential for growth and the Wilmslow Leisure Centre is a great venue with fantastic facilities. “We are grateful for the help of all our supporters and sponsors in staging this event, including the Wilmslow Leisure Centre Staff, Xtra Mile Events Crew, 6th Wilmslow Scout Group, Dean Row Girl Guides, Timperley and Brooklands Lacrosse Clubs, BTF Referees, Manchester Medical Services and Cheshire Constabulary. Sponsors of the South Manchester Triathlon 2013 included Edinburgh Bicycle Co-operative (Official Bicycle Retail Partner), Starley Bikes (Official Specialist Bike Brand), USN Ultimate Sports Nutrition (Official Nutrition Partner), Zone3 (Official Wetsuit Partner), Clif Bar (Official Energy Bar Partner), Aftershokz (Official Headphone Partner), Up & Running (Official Sports Retail Partner) and Athlete Matters (Official Physio and Rehab Partner). 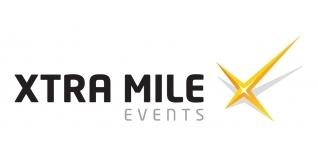 The Xtra Mile Events season concludes with the Oulton Park Autumn Duathlon on 6th October, with the sprint distance race being an ETU qualifier. Go to www.xtramileevents.com for details about future events and to sign up, like the Facebook page www.facebook.com/TriathlonUK and follow Xtra Mile Events on Twitter @GreatTriathlons.